FOR HAIR: designed essentially to brighten up your blond shades; for strongly damaged, chemically treated, wavy, curly, stubborn, weakened hair. The COCOCHOCO Pure Brazilian Keratin is designed especially for light-coloured, damaged, weakened and chemically treated hair. COCOCHOCO Pure keratin can recover and revive even very damaged hair. Professional keratin provides long-lasting shiny and exceptionally soft hair. Highly effective Clarifying shampoo required for preparing your hair for Brazilian keratin. The mixture of cleaning components, which cleans your hair thoroughly and eliminates all surface contaminants, allows better penetration of keratin into the internal structure of hair. The advanced modern technology of the shampoo increases the pH value and opens the skin beneath your hair for optimal results. To be used only before the application of Brazilian keratin. Not recommended for regular use! The shampoo for daily use, extends and supports keratin treatment. Hydration shampoo for dry and brittle hair Softens and hydrates your hair for maximum conservation of the regeneration effect achieved by keratin. The shampoo does not contain formaldehyde, parabens, GMO, Triclosan or any dye. An exclusive combination of natural herbal ingredients that helps increase the strength and durability of your hair. The treatment is suitable for all types and kinds of hair (dyed, streaked, short, long, straight, wavy, broken, etc.). 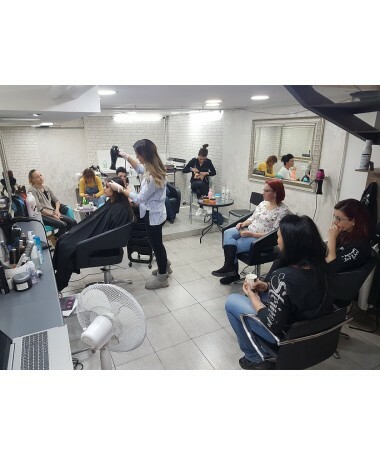 It is recommended to apply Brazilian keratin simultaneously with dyeing your hair (after applying the dye), otherwise at least 2 weeks before dyeing. If you are planning to have your hair cut, we recommend cutting before the application of Brazilian keratin. The application is possible also for extended hair. 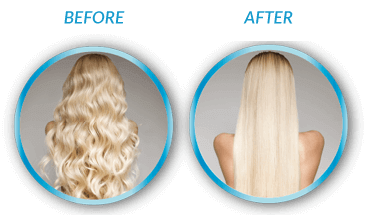 The total Brazilian keratin application lasts approximately 1.5-3 hours. This treatment lasts for 3 to 4 months, during this time Brazilian keratin is gradually washed away. 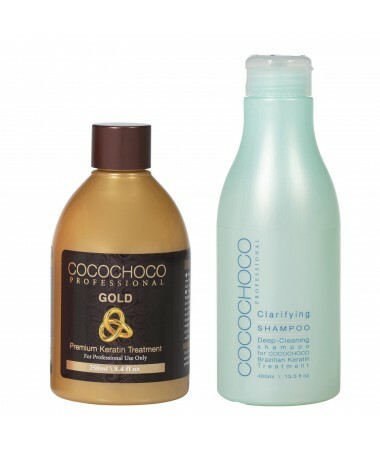 After the application of Brazilian keratin, it is recommended to use also other products from our range to extend the duration of Brazilian keratin in your hair: COCOCHOCO Professional Sulphate-Free Shampoo, COCOCHOCO Professional Conditioner and COCOCHOCO Professional Keratin Hair Mask. It is ideal to perform repeated application every 3 to 4 months; if necessary, application can be performed more frequently, e.g. once a month. It is not recommended to apply for pregnant and nursing women, children under the age of 12. Uneven application or use of insufficient amount of keratin may cause a risk of damage to your hair as keratin contains active components, which protect hair fibres against high temperatures when ironing. If excess keratin remains on your hair, ironing may produce unwanted smoke and keratin may get burnt to the ironing surface. RECOMMENDATION: Perform application in a well-ventilated room; when applying keratin keep your hair away from your face. Take care not to burn your hair with the straightener. CAUTION: If accidentally swallowed, seek the doctor immediately. In the event that the signs of adverse reactions occur, stop using the product and rinse it from your hair immediately. Store in a cool, dry place and keep out of reach of children. IMPORTANT: Please, follow the following steps. 1. 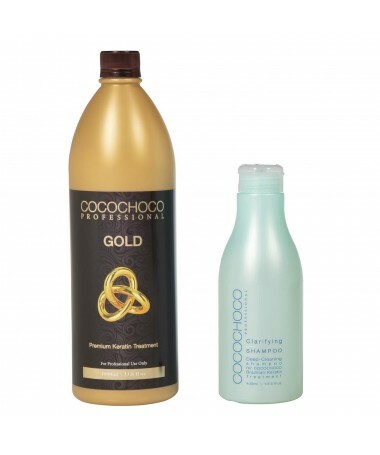 Wash your hair twice with the COCOCHOCO Cleaning Shampoo and dry with a towel. Do not use any conditioner. 2. Dry your hair with a hair dryer set to medium heat, until completely dry. 3. Comb your hair thoroughly. 4. Before using, properly shake the keratin, wear gloves and perform the procedure in a well-ventilated room. 5. Gradually apply keratin to individual sections by a brush (avoiding the scalp) and use fine comb to remove the surplus. 6. Let keratin have effect for 20 - 30 minutes and then dry your hair with a hair dryer set to medium heat. 7. Then apply your hair straightener, heated to 220°C, to individual sections of your hair. Repeat 5x-7x in each section, until your hair is shiny and straight. 8. Do not wash your hair for 3 days. If your hair gets wet or curled, straighten it immediately. 9. During the 3 days, let your hair hang naturally and freely, do not modify, shape, clip your hair and do not apply any substances. 10. After 3 days, you can wash your hair with sulphate-free shampoo and conditioner.